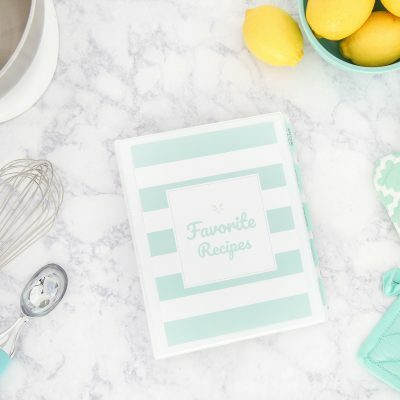 The Printable Recipe Binder Kit offers a beautiful, yet functional framework to build your own personalized recipe collection from start to finish in one convenient place. With easy-to-use editable templates, you’ll quickly turn your family favorite recipes into a long-lasting keepsake you can gift to yourself or to someone you love! A Printable Instruction Guide + 6 short, but info-packed videos to help you assemble your binder from start to finish. Learn more about The Printable Recipe Binder Kit HERE. Note: This is a digital file only. Nothing physical will be mailed to you. I’m just finishing up my recipe binder. I had recipes in notebooks, baskets, etc. and never seemed to be able to find the one I wanted. I now have all my favorites in one place. This took some time to type up and put together but it was worth every minute. The video tutorials were extremely helpful. Thank you for putting this together Kalyn. I’m so glad I purchased this kit. I’m so glad you liked it! I’ve got some exciting news coming soon that should make it even easier for you to keep your binder up to date as well!